„Stua dl iagher“. The Hunter's Stube. Stylish. 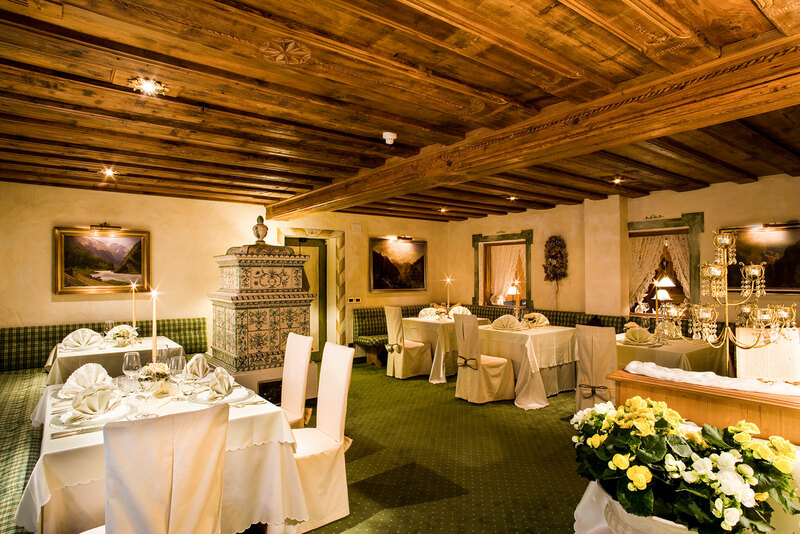 Come and indulge in the pleasures of the history-charged ambience of the Hunter's Stube at the Luxury Hotel Sassongher in Corvara. The Hunter's Stube dates back to the year 1520. 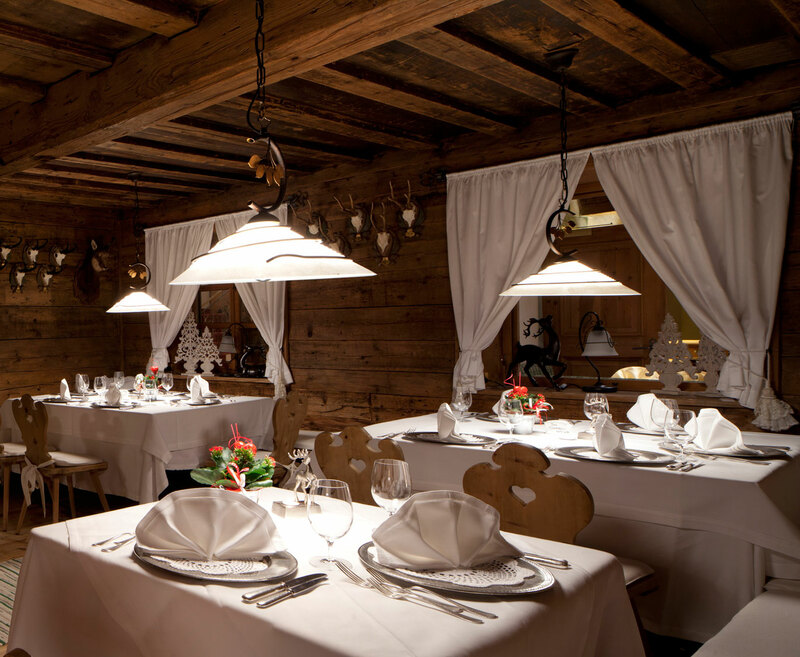 It is the most „ancient“ dining-room of the Gourmet Hotel in Alta Badia. If walls could talk, how many tales could this room tell? 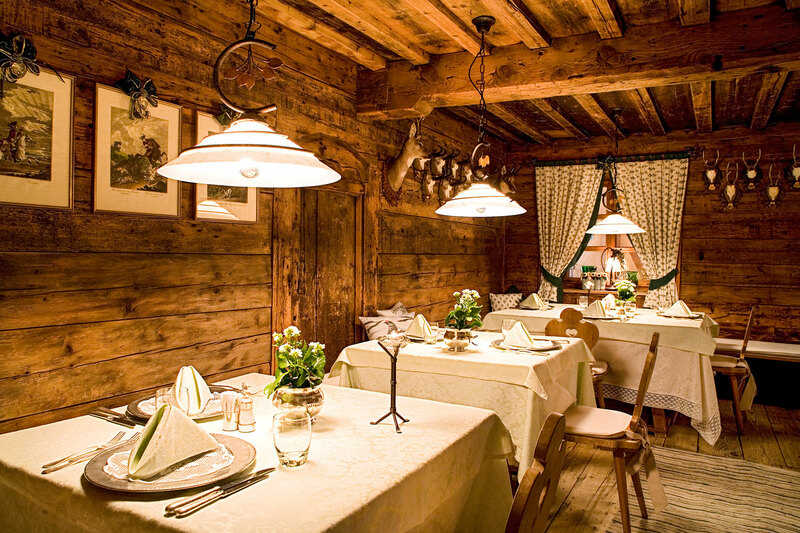 Old timber and numerous dominating trophies are typical features of the Ladin tradition in Val Badia. Enjoy both the typically regional and the international specialties in the unique atmosphere. 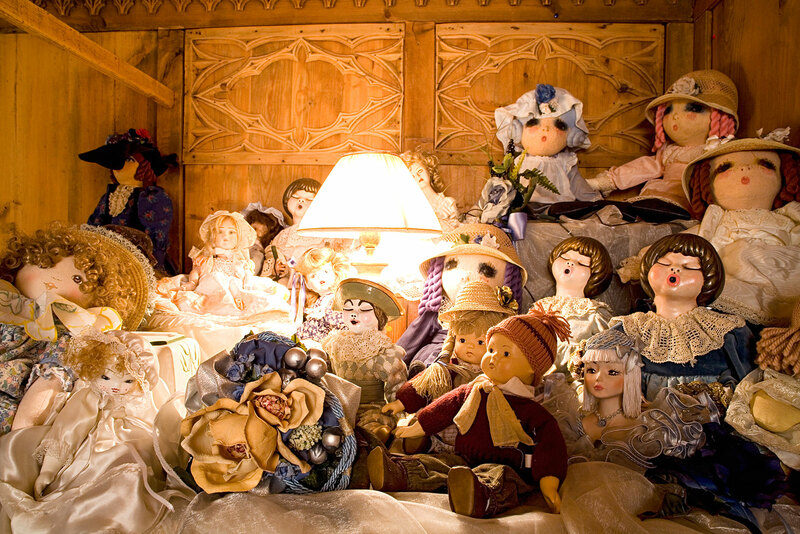 The Dolls Stube. Traditional hotel. 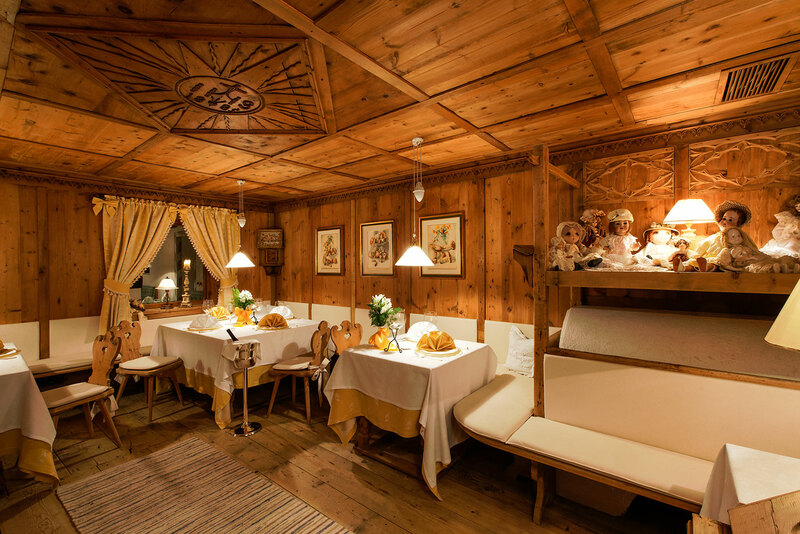 The Dolls Stube of the Hotel in Alta Badia is a place conceived to make you feel comfortable. Cosy ambience and stylish playful interior invite guests to dwell in there. “Deep inside I am still a child”. This is the feeling you have when you sit in this small almost magical room. Let yourself be spoilt by the team of chefs with their wonderful treats and delicacies. Enjoy the magic atmosphere of this one-of-a- kind place and allow yourself premium Gourmet highlights. 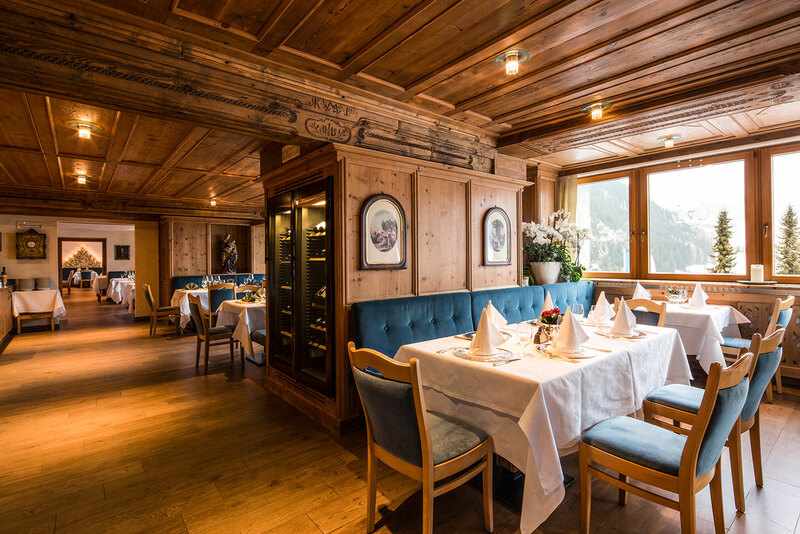 Savour the unparalleled treats of the region, together with Mediterranean and international recipes prepared by the restaurant of the Hotel Sassongher in Corvara Alta Badia. The stylish ambience of the „Stüa Romantica“ invites guests to dwell amongst its beauties. Elegant and refined, rich in sophistication, our cosy dining-room offers the ideal atmosphere for a romantic candle-light dinner. Enjoy the delicious delicacies of our chefs and finish your hiking or skiing day in the Dolomites in the most pleasant way. 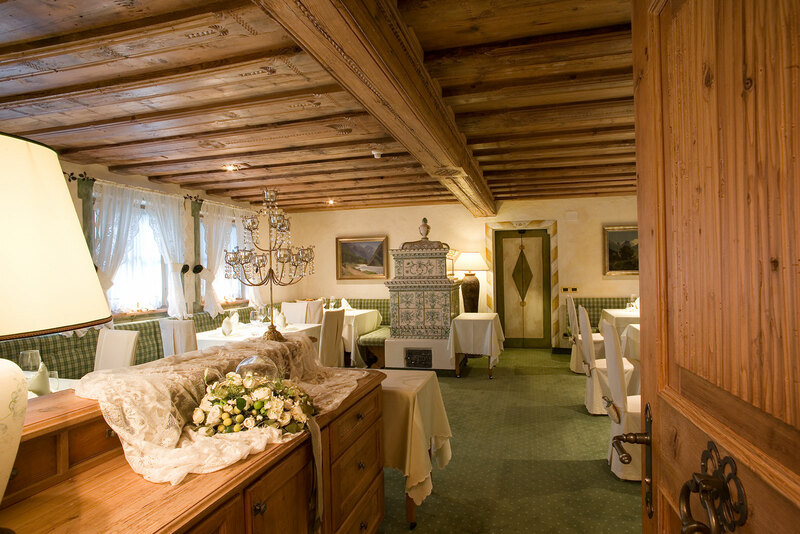 In the “Stüa Romantica” you can feel the Pescosta family’s love for their hotel, their philosophy and their attachment to traditions. 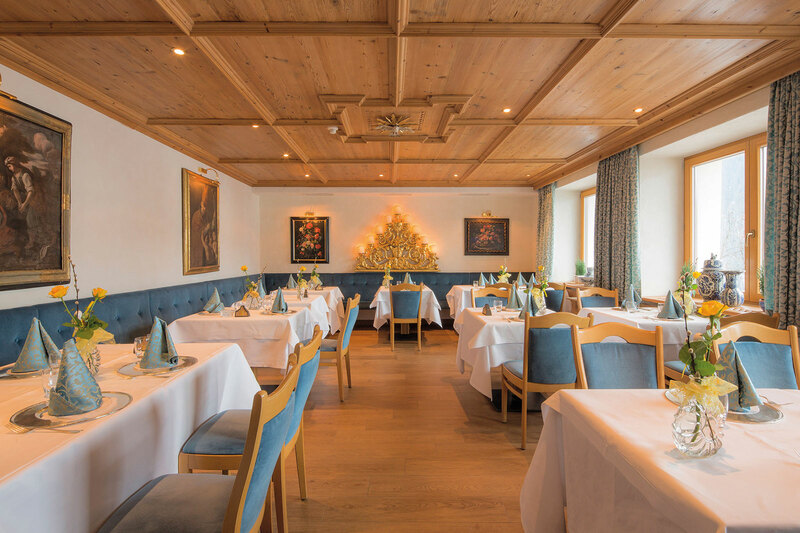 Spend an unforgettable gourmet holiday in Corvara Alta Badia and enjoy intimate togetherness in the Romantica Stube of the Luxury hotel Sassongher.